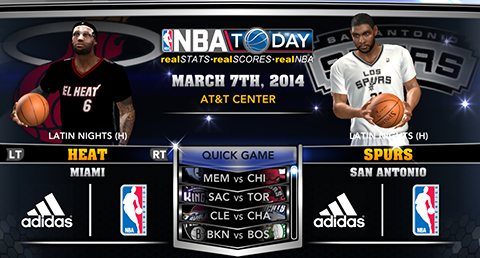 The newest NBA 2K14 roster update from 2K Sports is now available for download on all platforms, featuring rotations that have been updated through March 7th, 2014. It includes injury updates and addition of 6 Latin Nights jerseys, 2 Saint Patrick's Day uniforms & the new alternate jersey of the Nets. 10-Day contract signings that happened this week are not yet reflected in the update.